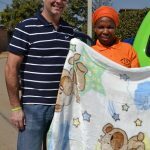 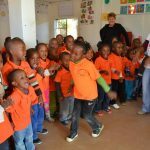 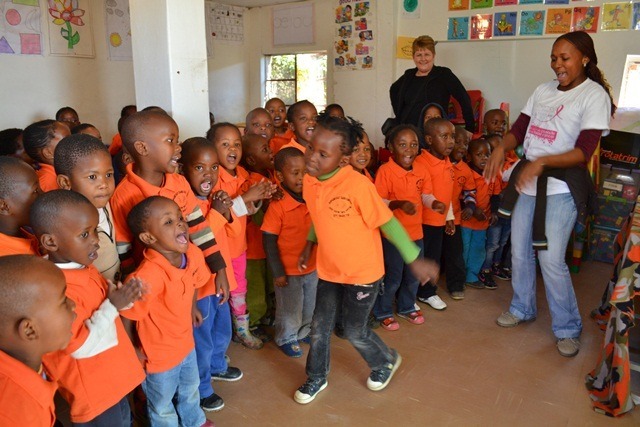 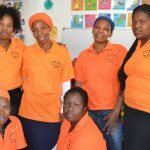 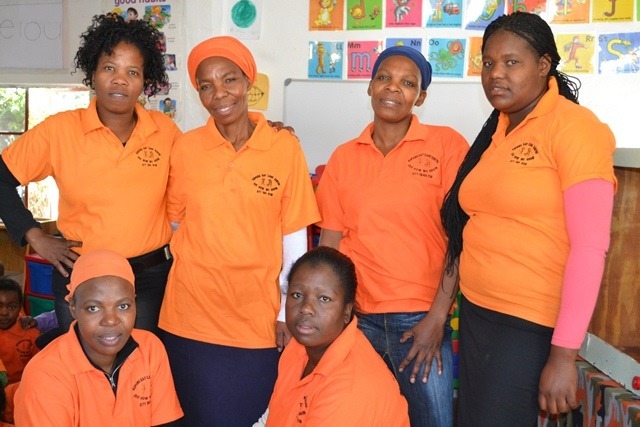 Not only is it the birthday of a great South African icon, but this day marks the start of a new journey for a preschool in Zandspruit, Kopano Day Care. 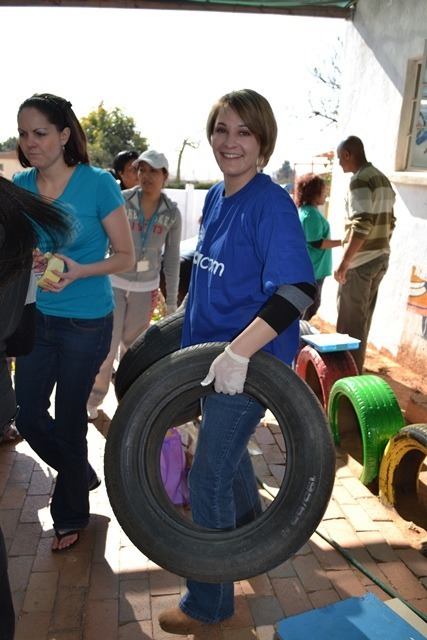 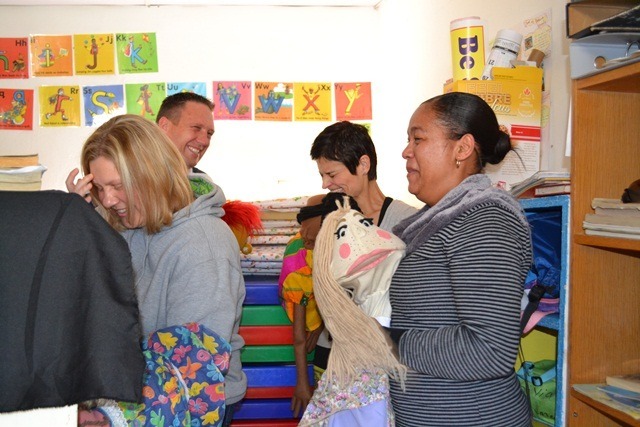 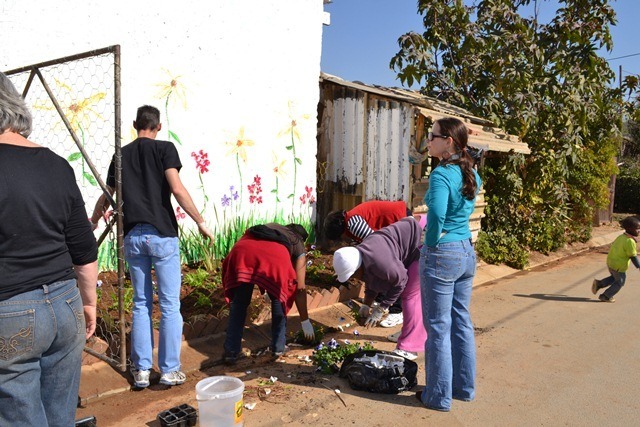 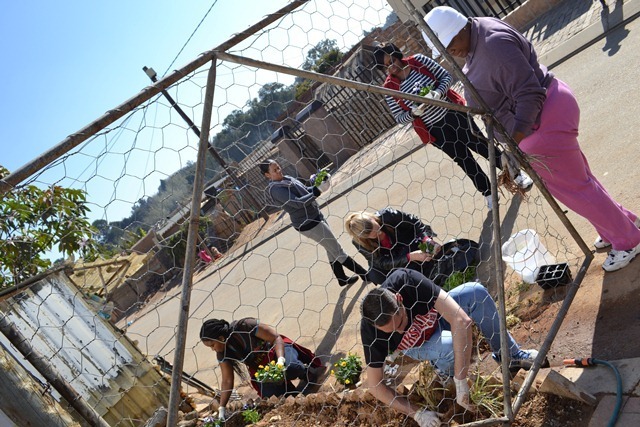 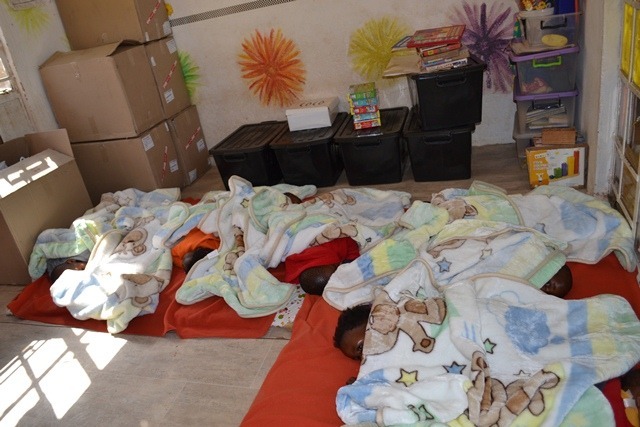 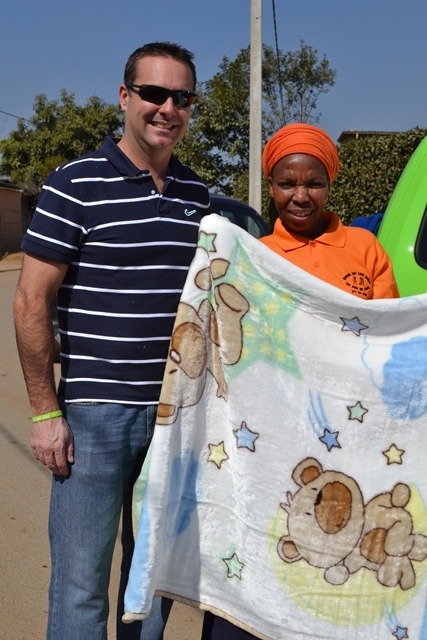 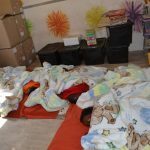 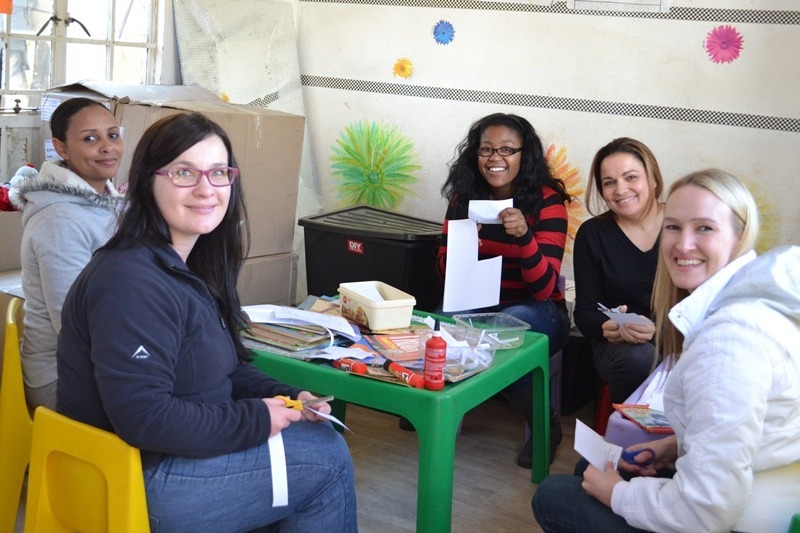 Arriving with buckets of paint and paint brushes; plants, seedlings and gardening tools; reading books, scissors and glue; baby blankets and toys; props and a puppet show – Centriqists stepped up and went beyond the ’67-minute’ challenge to support the Kopano Day Care. 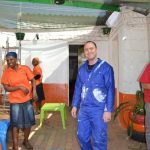 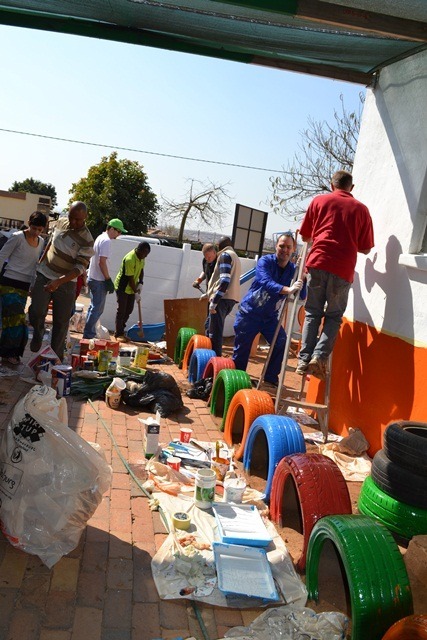 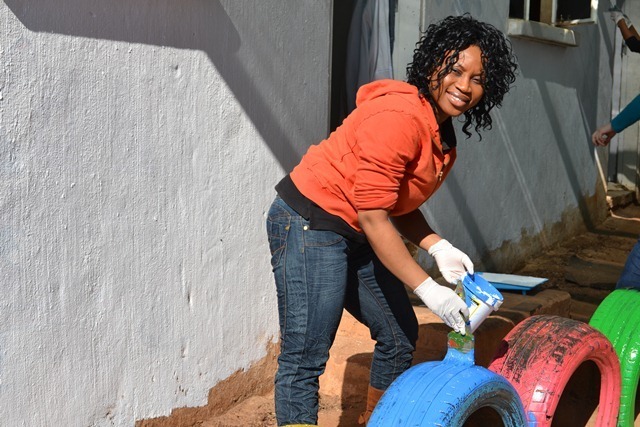 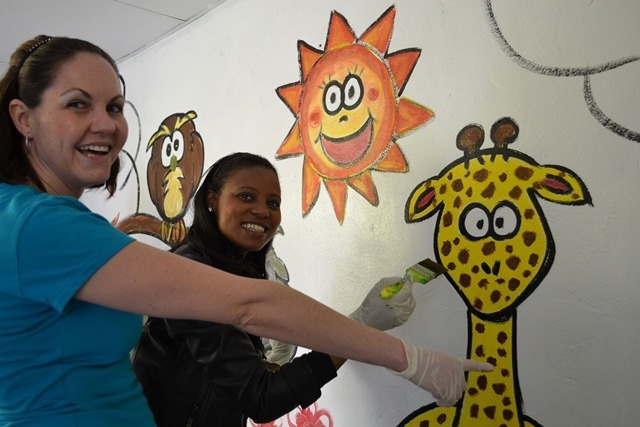 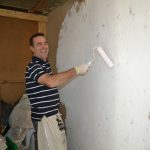 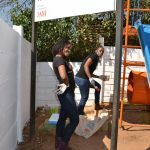 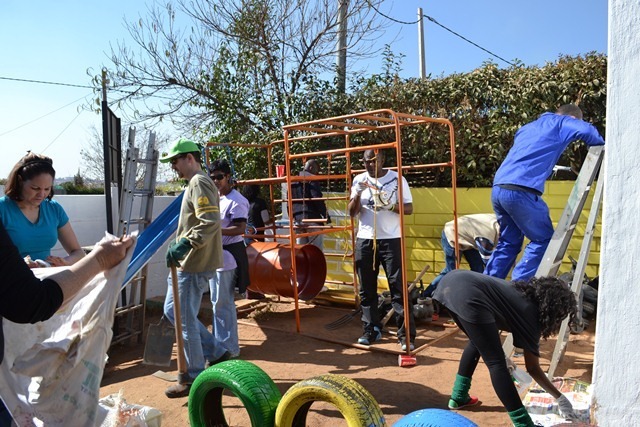 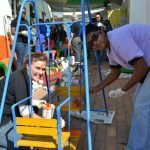 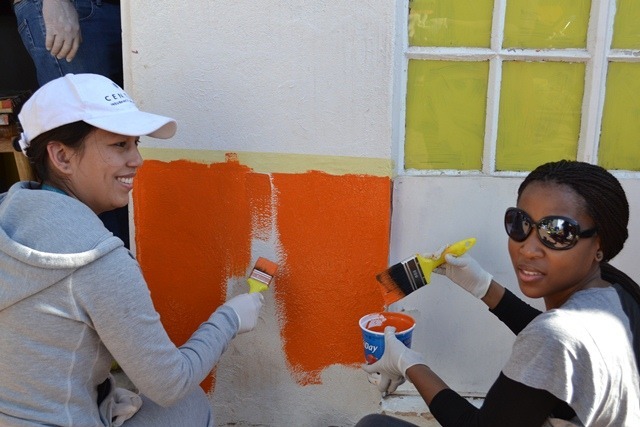 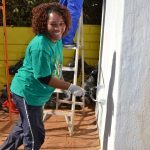 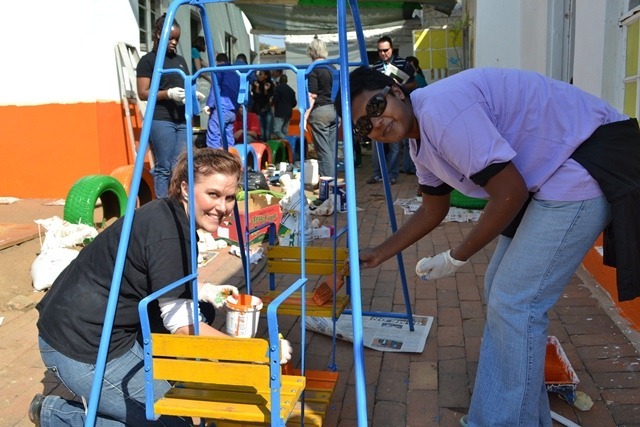 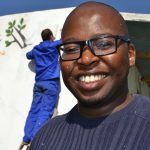 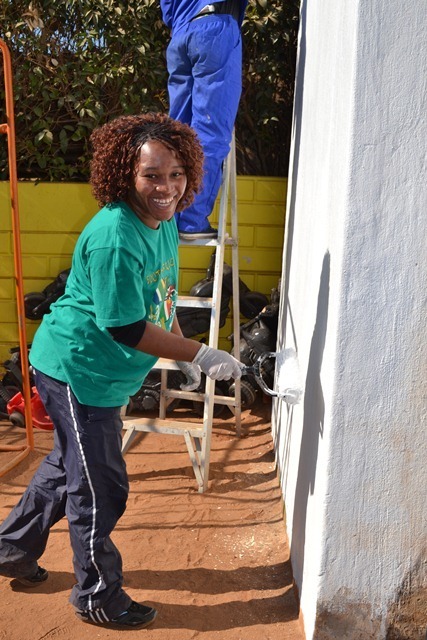 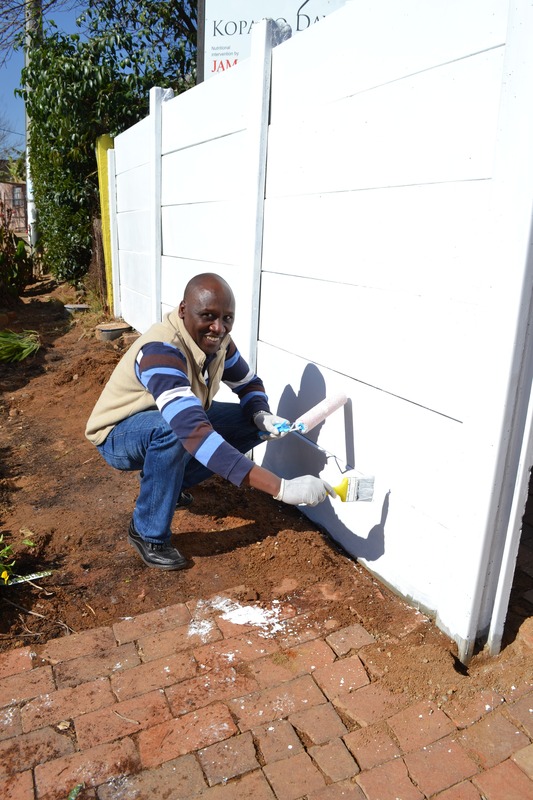 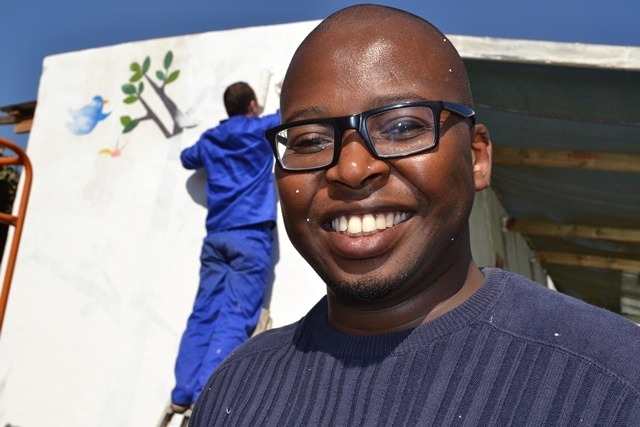 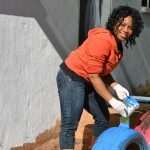 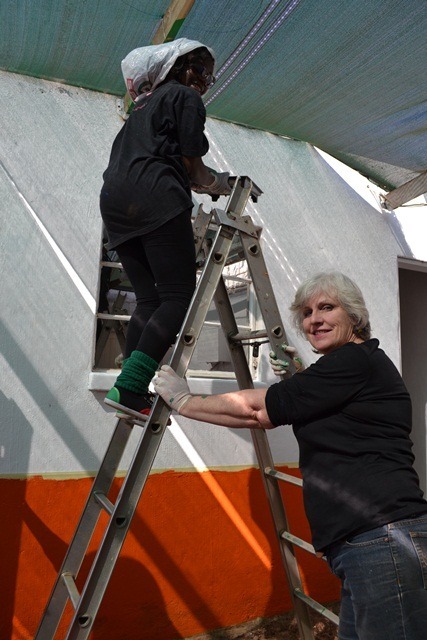 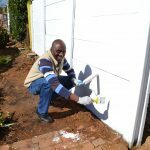 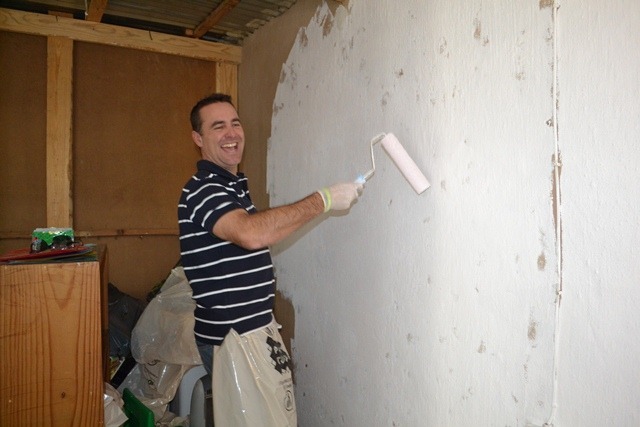 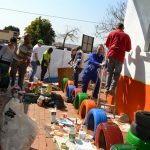 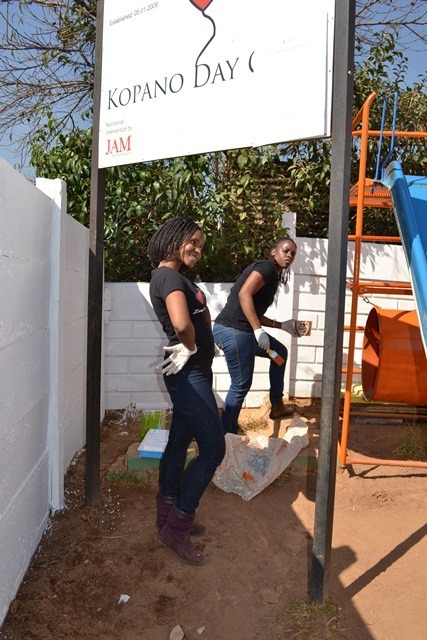 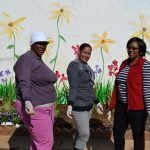 Kopano’s building and playground equipment received a new coat of paint, and the classrooms were treated to a ‘storybook’ facelift. 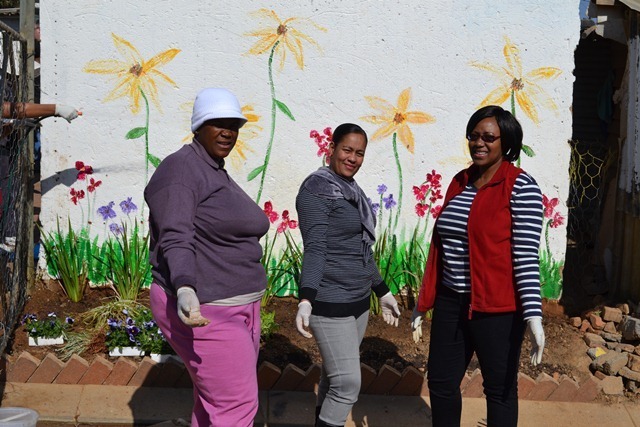 The garden received a sprucing-up with compost, topsoil, plants and colourful seedlings to bring some cheer. 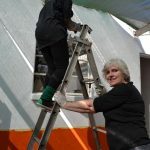 The library books received some much needed repair and restoration. 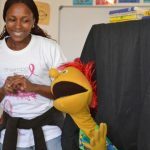 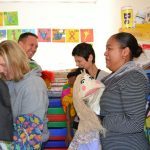 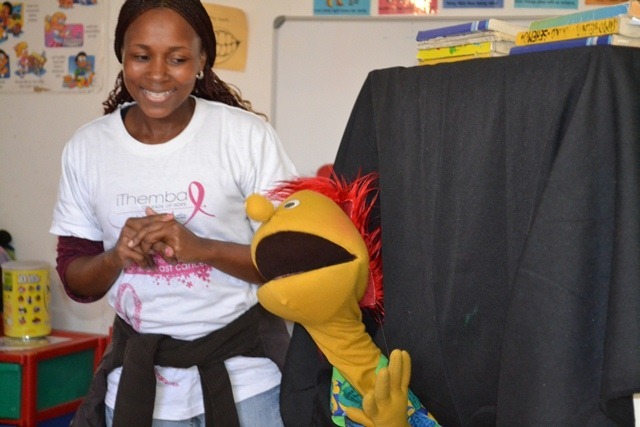 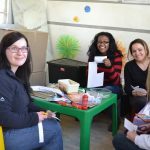 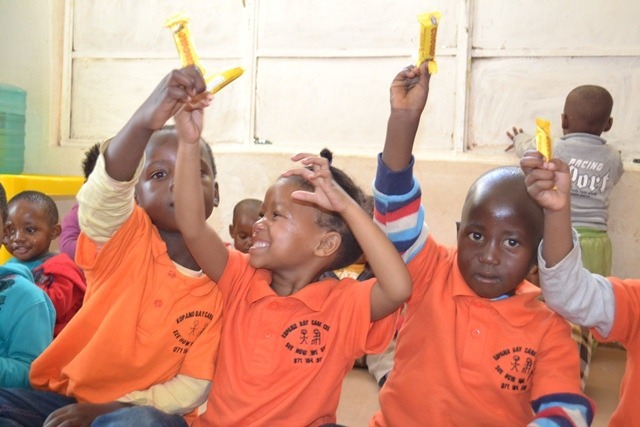 Whilst the Centriqists were busily working away, Kopano’s children were treated to an entertaining puppet show, story-time, a sing-along and a yummy lunch. 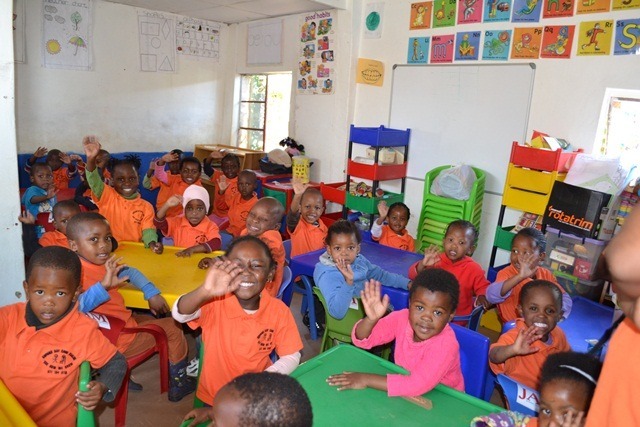 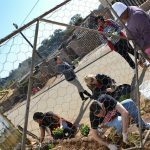 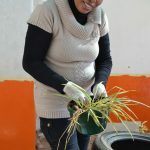 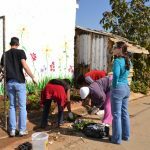 Kopano has demonstrated tremendous commitment to improving the environment as well as the curriculum for its children, irrespective of the limited resources it has access to. 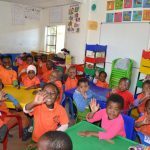 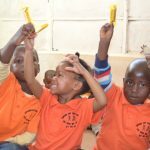 The children are stimulated and the teachers endeavour to apply what they have learnt via Education Africa’s ECDP programme. 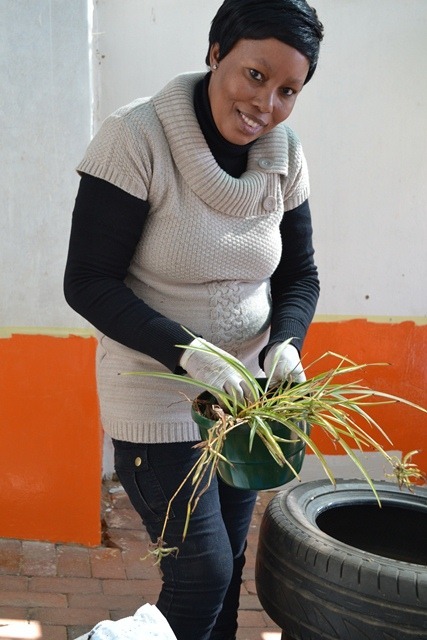 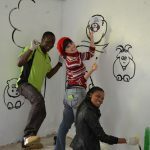 With Centriq’s support, Kopano, like Thembelilhe, will achieve the standards required to qualify for a government grant. 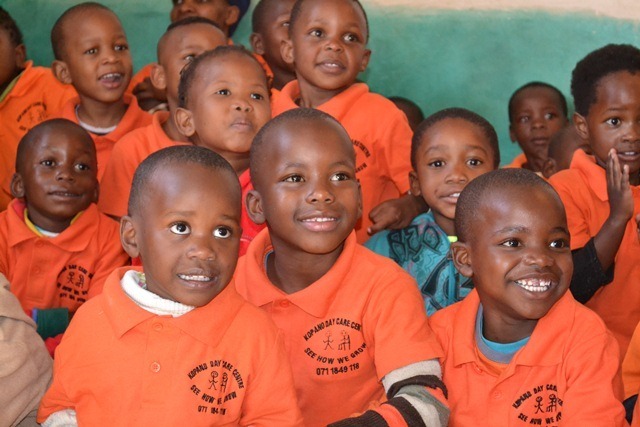 We look forward to this new journey together!